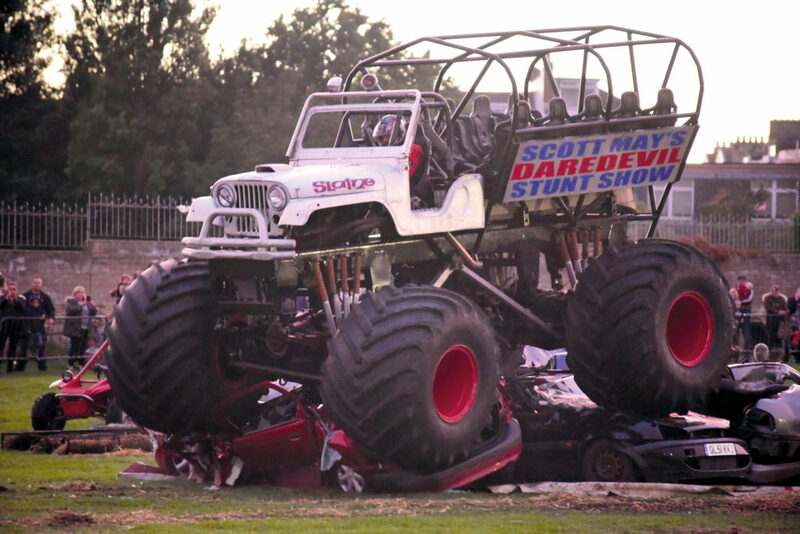 If daredevils and destruction are your thing then it is well worth checking out Scott May’s Daredevil Stunt Show, currently on tour around the UK. 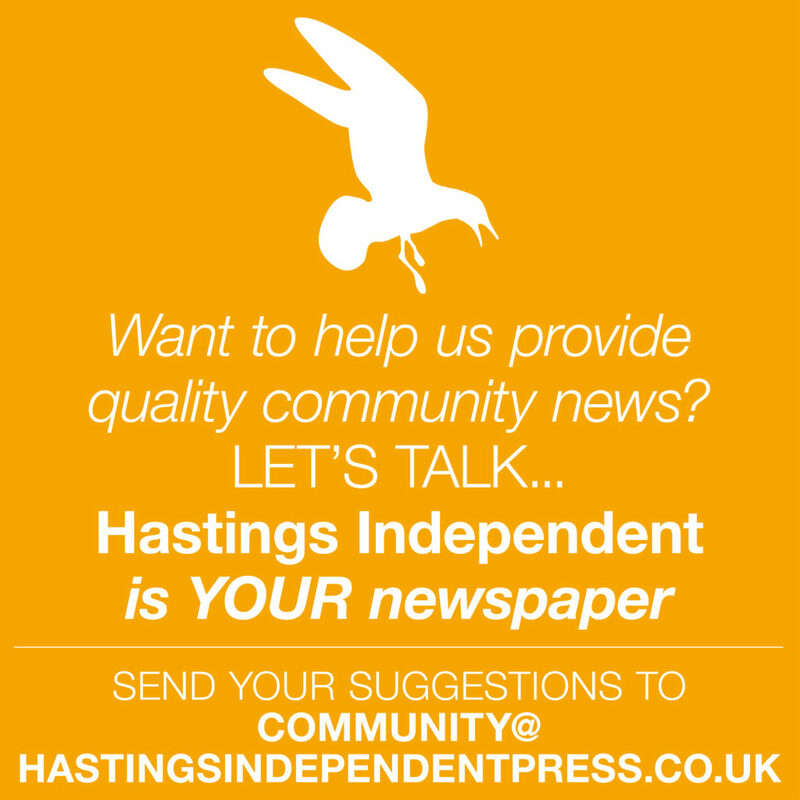 It arrived at Hastings Oval on August 16th, where we were invited to witness a variety of whacky looking vehicles, and equally wacky drivers, perform death defying stunts and tricks. First up was the flying head on crash, performed by a brave and skilled female driver who drove at high speed off a ramp, head first into an upright car, sending it flying to the delight of the crowd. Then things began to hot up with the first of the fire tricks. It isn’t every day you see a man being dragged along on a rope through a blazing inferno, but as Scott May reminded us, these are highly trained experts, or maybe they’re highly insane experts, who knows? 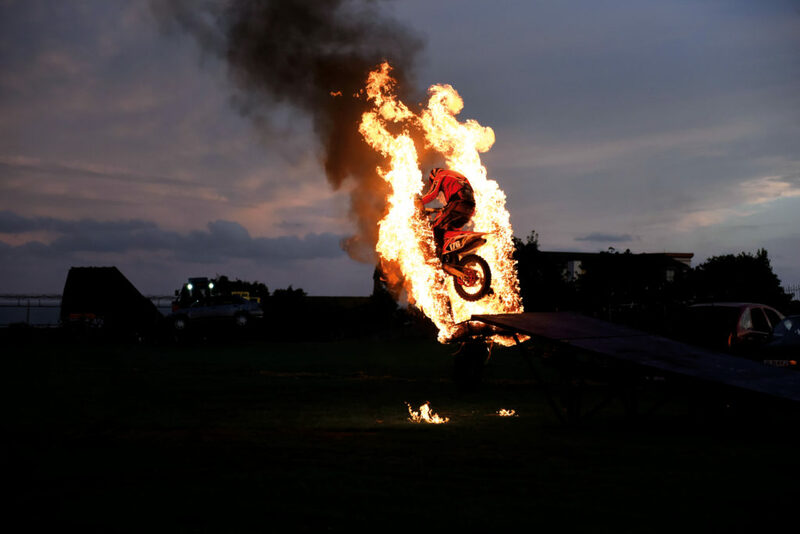 Another performer was Mad Mike, and his madness consisted of driving his motorcycle through a ring of fire, running across the oval engulfed in flames, and being flung from a moving car bonnet, once more engulfed in flames. As the evening drew on the stunts became more daring, and comical. A clown entertained the kids in a miniature buggy, then later on drove off in his mini, which hilariously snapped in half. MC Scott May himself attempted the classic two wheel ride, a staple at stunt shows. However due to the wet conditions the trick didn’t last as long as hoped. However, a pilot buggy had no trouble balancing on two wheels, before doing a wheelie with four stunt performers hanging on to balance it. At the far end of the field was a rather impressive twin ramp set-up, ably demonstrated by the skill and bravery of a stunt rider who flew through the air with ease and grace. Crowds gasped as he performed The Superman, No Hands, and numerous other tricks. And it wasn’t just the stunt riders who got to go on these vehicles, some lucky raffle winners were driven around the course on top of a monster truck. Next up was the Wheelie Cool Bus, a big yellow American school bus which, thanks to the incredible skills of the driver, was able to perform wheelies. Impressively, for the duration of the stunt, the front wheels never touched the ground. What many of the audience came to see however, were the monster trucks – ludicrously outsized vehicles like the Thundertrax Tank. This beast started life as an armoured personnel carrier, until someone had the bright idea of welding a Chevy Truck on top of it. Resembling a Big Track toy from the 80s, it had no trouble squashing rows of cars, coming back for more to the cheers of the crowd. Although Scott May’s show lacked the hype and patriotism of its American counterparts, it did import one item from across the pond, the Slaine Monster Truck. This 7 ton giant continued where the Thundertrax Tank left off, squashing what was left of the cars to the absolute delight of the crowd. Not all the tricks went as planned and Scott’s microphone kept cutting out, but the show had a genuine independent spirit, with both performers and crowd clearly enjoying themselves.